Gallery of Fine Art Prints, Posters,Books and Note cards of Apalachicola Bay. Artists of Apalachicola Association is form of 10 directors and currently with 76 members, membership is open to all! Music, Ceramics, Performing Arts and Visual Art. Frost Pottery Garden is the coolest little shop in the coolest beach town on the Forgotten Coast! Owners Dena,Jay, and Chelsea Frost have created a colorful outdoor oasis brimming with Quality imported Pottery, Exotic Plants, Fountains, Birdbaths, and Metal Art. Our GiftShop is a true Hidden Treasure Chest. Inside you'll find handmade Jewelry, the best smelling Candles in the world, Sarongs, T-shirts, and unique and one of a kind items for your indoor and outdoor garden. Rio Carrabelle, located in an historic two story brick building in downtown Carrabelle, is an art gallery, a photo studio, a music venue, and a center for cultural and civic events. The gallery presents four major exhibits each year, each featuring local and regional artists. Rio Carrabelle is a supporter of the Carrabelle Artist Association, the Artist of Apalachicola Area and also participates in the Forgotten Coast Plein Air event with a special exhibit each spring. The photo studio offers table top photography and graphics. 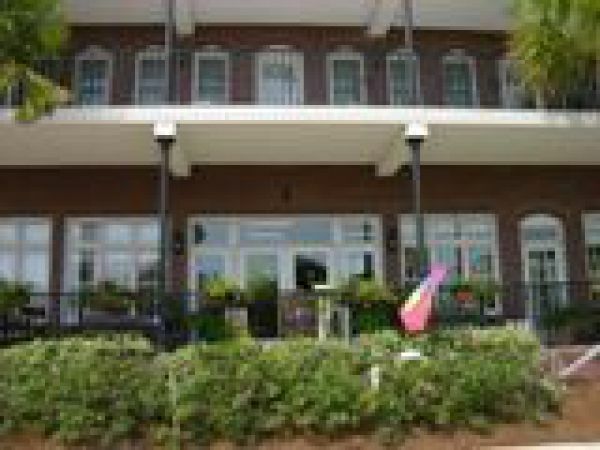 As a music venue Rio Carrabelle promotes a variety of events - from blue grass to delta blues and classical to hot and cool jazz. For the 2016 season winter season Rio Carrabelle will partner with The Ilse Newell Fund for the Performing Arts INCONCERT SERIES to host eight Friday night unique jazz events featuring the best combos from the FSU Jazz Studies Program. During the winter season INCONCERT will also present classical music, opera favorites and a taste of the avant garde on Sunday afternoon at Trinity Episcopal Church in Apalachicola. 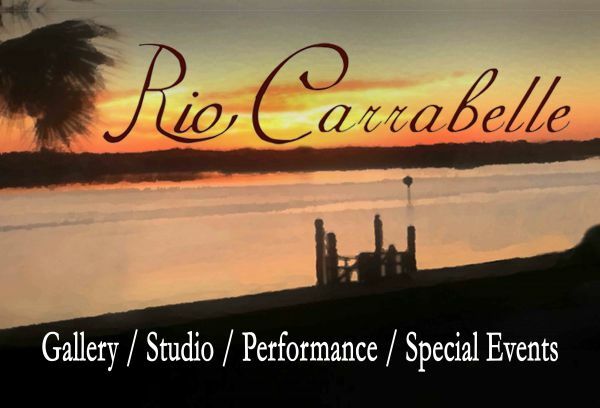 Rio Carrabelle is a Florida Not for Profit Center for Art & Music. Contact Bo May for more information. Art of Glass Home of made in Apalachicola one of a kind kiln fired glass creations. From jewelry to wall art to accessories for your vacation home. Come visit Miss Debbie and maybe commission her to make that one of a kind piece for someone special in your life. Artemis Gallery is located in the lovely High Cotton Building, just across the street from the Apalachicola Bay Chamber of Commerce, in the heart of the downtown historic district. Artemis Gallery is one of Apalachicola's premiere art galleries and exhibits many wonderful and talented regional, national and local artists. We specialize in Florida Landscapes, and Folk Art. Artemis gallery is known throughout the country for fine art and has an established portfolio of art collectors. The gallery also carries women's clothing, unique gifts, cards and books. Open 7 days a week and available on line at www.shopatartemis.com Artemis Gallery Pop-Up Shop is located just two doors down at 115 Commerce St.
On the Waterfront Gallery is home to one of the finest art galleries on the Forgotten Coast. Where beautiful landscapes of the waterfront & boats are shown in multimedia. As well as gifts of jewels, sliver & glass are shown. It is Also home to the collection of Forgotten Coast Plein Air master Artist and Artist of Apalachicola Area (AAA) Specializing in Landscapes and Waterfront scenes of the Gulf "Forgotten Coast" en plein-air by national and local artists and photographers. 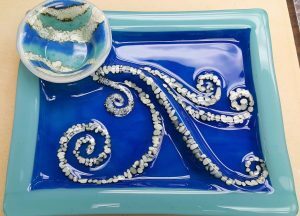 Gifts, decorative accessories and jewelry of a Beach and Florida flavor are featured as well. If you are planning a visit to north Florida's Forgotten Coast, St. George Island's Sea Oats Art Gallery is a must-see destination. We offer the largest collection of art along the Forgotten Coast. Our focus is on local artists and fine craftspeople. Their work reflects lives lived well and diversely on the coast of Florida. Professional Pottery Studio I was born in Memphis but grew up north of Atlanta playing in the red Georgia Lizella clay. I fell in love with the potter’s wheel when at age 14 I got to try it for the first time. I have been throwing pots now for more than 25 years and still feel the excitement with each new lump of clay. My work has always been a personal expression of my surroundings and my affinity for nature. To take a element of the earth and transform it into something that could be appreciated for its beauty and functionality is my calling. Each piece is one of a kind. Many begin on the potter’s Wheel consisting of one or more pieces which are joined then later refined by carving, incising and texturizing. Each piece takes on its own unique personality as it is being created. Elements of design may repeat in other pieces but no two are exactly alike. All functional pieces are dishwasher safe created with a lead free Glaze. I trust my work speaks to you as the Earth Speaks to me. An Eclectic collection of Wood, Metal, Canvas and Garden Art, Tropical Lamps. Born and raised in London, England, the youngest child of very creative parents, painting and drawing under their direction until academics got in the way. Always an entrepreneur I have been, in no particular order, a head hunter, fruit and vegetable picker, car washer, dog/cat/horse/bird and squirrel trainer, inventor, golf ball hunter, restauranteur, real estate mogul (not), women's accessory rep and jewelry designer/manufacturer/wholesaler. Participated in art workshops over the years but did not jump in with both feet until oil workshops on St.George Island, FL in 2008. I have been a painting fool ever since. Most submissions to the AAC in Atlanta have been accepted, earning 4 honourable mentions along the way. Won Best Emerging Artist at the Quickdraw event during the Plein Air Invitational in 2011.All 3 submissions accepted in the Annual Creative Tallahassee Exhibit 2012 and 2 accepted into Gadsden Annual Exhibition 2012, 3rd place in North Florida Fair, Professional Artist, 2012..Work in private collections all over the US. Merit Award at Spring Into Art annual show at Valdosta Art Center 2013. Iggyart is the Gallery and The Gallery at High Cotton is the gallery and studio of artists Jenny Odom and Beth Appleton. 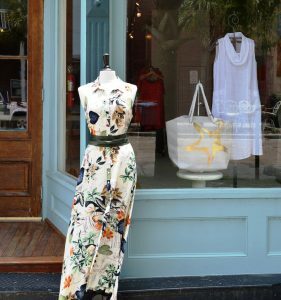 We are located at 230 Water Street in the High Cotton building in historic downtown Apalachicola. Open Weds-Sat, 10am-5pm.Studio of Artist Jenny Odom known for her Whimsical, colorful paintings of dogs, birds, people and more. Special winter rates available! 49 Palmetto consists of a lovely Vacation Rental upstairs and an Art Gallery downstairs. The Vacation Rental--The Flat--offers 2 comfortable bedrooms, a fully equipped kitchen, laundry and more. 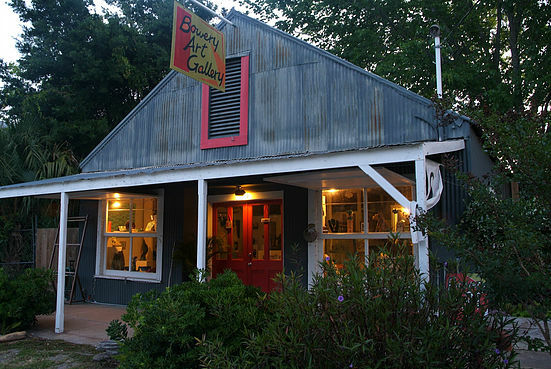 The Gallery offers rotating exhibits of contemporary art, sculpture, and regional Folk Art. The Gallery is open Tues-Sat, 11-5pm; and The Flat is open all year round for a weekend getaway, a week or a month! For more information, please visit us on the web at www.49Palmetto.com. Apalachicola Center for History, Culture & Art develops opportunities for all residents and visitors to expand their knowledge through exhibits, programs and presentations by local and guest artists, educators and performers. HCA is among many art museums in Apalachicola as well as history museums in Apalachicola and aims to encourage appreciation and awareness of art, culture and history by providing a wide range of programs for youth to senior citizens. HCA is dedicated to arts education and artistic enrichment and encourages the development and capabilities of artists and aspiring artists from both the local and national art community. 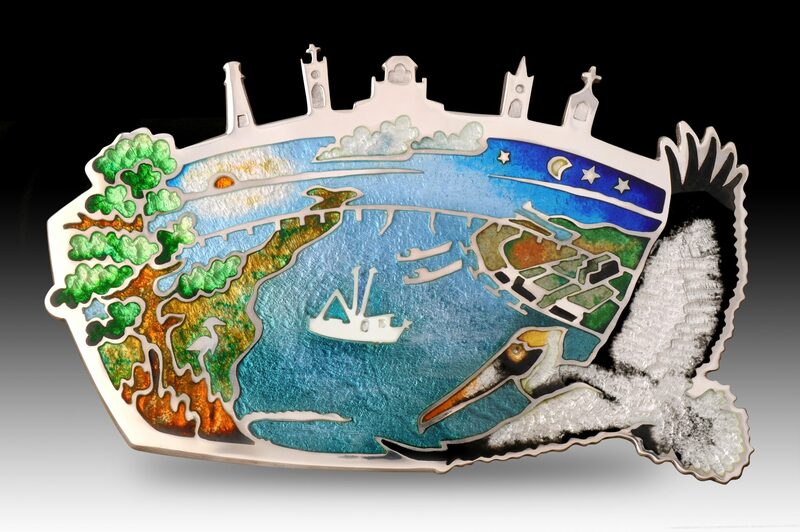 By teaching the fundamentals of representational art and providing the general public the opportunity to participate in visual arts programs, HCA highlights the history, maritime culture and natural resources of the City of Apalachicola and region. Being a soap maker is cool! I've been in love since I made my 1st batch and you can do it too! Planning and preparation, plus basic safety instructions are taught at Harmony Bath & Body Academy. You will go back home with 1 lb of soap that you helped make yourself...is that cool or what? Small classes allow you to receive one on one instructions and advice. Whether you want to be a hobbyist and make handmade soap for your family and friends, or whether you think you may actually go into business selling soap, this is the class for you! Classes are taught only once weekly and are limited to 6 people, so contact me now if you're interested in having fun and expressing your creative self. Private lessons are also available.